Room diffusers are the height of millennial sophistication. It’s true! We may not be able to afford a house, car, or health insurance, but we make sure our space smells amazing. But reed diffusers – although super cute in their own way – aren’t the most effective at what a home fragrance aims to do. Even when you make an effort with maintenance (yes, turning a handful of reeds does count as maintenance in our world, huni), after a while the only way you can smell it is in the kind of close proximity that would normally warrant a restraining order. For a few hundred more, you can bag yourself an electric diffuser that works hard for your money. 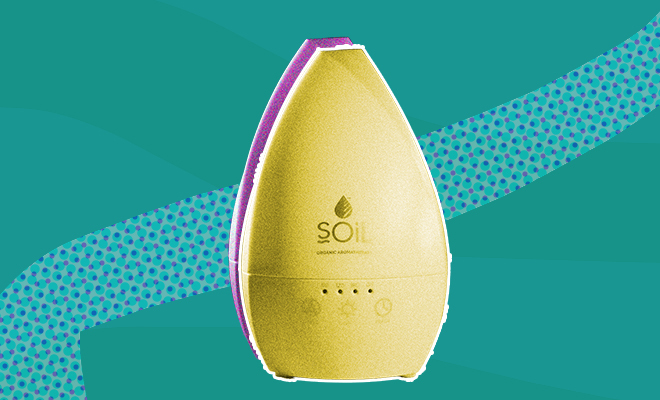 SOiL came through dripping with this Ultrasonic Aroma Diffuser (R600) that sprays a cool mist of essential oil-infused water into the air surrounding it, helping fragrance molecules to travel. Use it with SOiL’s long list of organic oils, and have fun creating your own blends. If you’re looking for a place to start, why not use one of these tried-and-loved recipes? sounds like a wonderful way to keep your home smelling amazing…quick question are they hypo-allergenic? some of these products really cause havoc with the sinuses. I definitely need one of these!! !, I still use the old burner with the candle. I think i have to invest in one of these babys ,as my house is packed with REED diffusers WHICH IS NOT THAT EFFECTIVE ! This sounds amazing, but I think the price is a bit ridiculous! AND you have to buy the different types of oils which is another expense.